Nouns can also name things, although sometimes they might be intangible things, such as concepts, activities, or processes. Some might even be hypothetical or imaginary things. One important distinction to be made is whether a noun is a proper noun or a common noun. A proper noun is a specific name of a person, place, or thing, and is always capitalized. Does Tina have much homework to do this evening? Tina is the name of a specific person. I would like to visit Old Faithful. Old Faithful is the specific name of a geological phenomenon. The opposite of a proper noun is a common noun, sometimes known as a generic noun. A common noun is the generic name of an item in a class or group and is not capitalized unless appearing at the beginning of a sentence or in a title. The girl crossed the river. Girl is a common noun; we do not learn the identity of the girl by reading this sentence, though we know the action she takes. River is also a common noun in this sentence. Common or generic nouns can be broken down into three subtypes: concrete nouns, abstract nouns, and collective nouns. A concrete noun is something that is perceived by the senses; something that is physical or real. Doorbell and keyboard are real things that can be sensed. Conversely, an abstract noun is something that cannot be perceived by the senses. We can’t imagine the courage it took to do that. Courage is an abstract noun. Courage can’t be seen, heard, or sensed in any other way, but we know it exists. A collective noun denotes a group or collection of people or things. That pack of lies is disgraceful. Pack of lies as used here is a collective noun. Collective nouns take a singular verb as if they are one entity – in this case, the singular verb is. A pride of lions roamed the savanna. Pride of lions is also a collective noun. Every sentence must have a subject, and that subject will always be a noun. The subject of a sentence is the person, place, or thing that is doing or being the verb in that sentence. Maria is the subject of this sentence and the corresponding verb is a form of to be (is). Nouns can also be objects of a verb in a sentence. An object can be either a direct object (a noun that receives the action performed by the subject) or an indirect object (a noun that is the recipient of a direct object). Give the books to her. Books is a direct object (what is being given) and her is the indirect object (who the books are being given to). Another type of noun use is called a subject complement. In this example, the noun teacher is used as a subject complement. Subject complements normally follow linking verbs like to be, become, or seem. A teacher is what Mary is. A related usage of nouns is called an object complement. Husband and wife are nouns used as object complements in this sentence. Verbs that denote making, naming, or creating are often followed by object complements. An appositive noun is a noun which immediately follows another noun in order to further define or identify it. My brother, Michael, is six years old. Michael is an appositive here, further identifying the subject of the sentence, my brother. 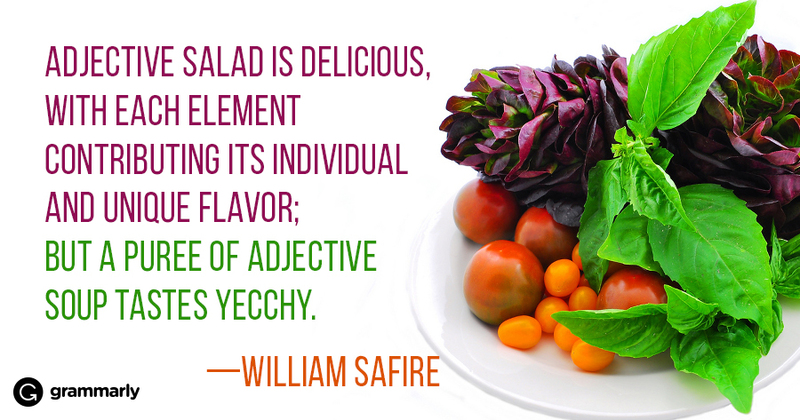 Sometimes, nouns can be used adjectivally as well. He is a speed demon. Speed is a normally a noun, but here it is acting as an adjective to modify demon. Plural nouns, unlike collective nouns, require plural verbs. Many English plural nouns can be formed by adding -s or -es to the singular form, although there are many exceptions. These two cats are both black. Note the plural verb are. Countable nouns are nouns which can be counted, even if the number might be extraordinarily high (like counting all the people in the world). Countable nouns can be used with a/an, the, some, any, a few, and many. Here are a few cats. Uncountable nouns are nouns that come in a state or quantity which is impossible to count; liquids are uncountable, as are things that act like liquids (sand, air). They are always considered to be singular, and can be used with some, any, a little, and much. An I.Q. test measures intelligence. Intelligence is an uncountable noun. Students don’t seem to have much homework these days. This example refers to an unspecified, unquantifiable amount of homework, so homework is an uncountable noun. Possessive nouns are nouns which possess something; i.e., they have something. You can identify a possessive noun by the apostrophe; most nouns show the possessive with an apostrophe and an s.
The cat possesses the toy, and we denote this by use of ‑’s at the end of cat. When a singular noun ends in the letter s or z, the same format often applies. This is a matter of style, however, and some style guides suggest leaving off the extra s.
I have been invited to the boss’s house for dinner. Mrs. Sanchez’s coat is still hanging on the back of her chair. Plural nouns ending in s take only an apostrophe to form a possessive. My nieces’ prom dresses were exquisite. Наш интересный web-сайт со статьями про https://avtovoz.co.ua.